Weibo is a microblogging website and one of China’s most popular social media platforms. 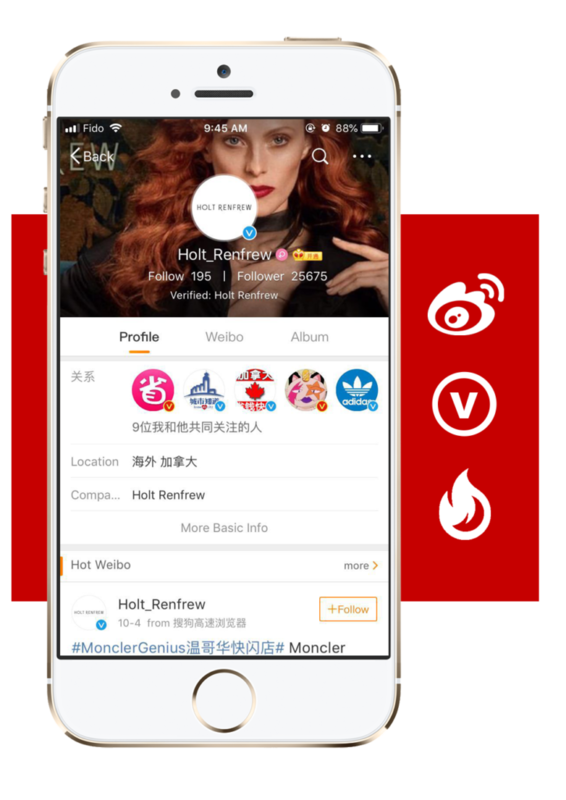 Over 481 million users actively rely on Weibo to discover brands, connect with celebrities and share content with friends. We help North American brands plan and execute a winning Weibo strategy. Our team of in-house Chinese social media experts keep their fingers rested on the pulse of Chinese trends to shape branded content for relevance, popularity and engagement. We help brands open a verified Weibo account, and reach the millions of users in the Weiboverse worldwide. We're language and culture experts making sure that your social content is relevant and impactful. We help your brand grow followers through paid channels that target specific user segments. Pictures tell a thousand words; videos have thousands of pictures. We make engaging visual content. Questions? Chat with a Chinese Social Media Expert Today.